ARTICLE I. The department of legislation shall be formed by two branches, a Senate and House of Representatives; each of which shall have a negative on the other. The legislative body shall assemble every yeara [on the last Wednesday in May, and at such other times as they shall judge necessary; and shall dissolve and be dissolved on the day next preceding the said last Wednesday in May ;] and shall be styled, THE GENERAL COURT OF MASSACHUSETTS. III. The general court shall forever have full power and authority to erect and constitute judicatories and courts of record, or other courts, to be held in the name of the commonwealth, for the hearing, trying, and determining of all manner of crimes, offences, pleas, processes, plaints, actions, matters, causes, and filings, whatsoever, arising or happening within the commonwealth, or between or concerning persons inhabiting, or residing, or brought within the same: whether the same be criminal or civil, or whether the said crimes be capital or not capital, and whether the said pleas be real, personal, or mixed; and for the awarding and making out of execution thereupon. To which courts and judicatories are hereby given and granted full power and authority, from time to time, to administer oaths or affirmations, for the better discovery of truth in any matter in controversy or depending before them. IV. And further, full power and authority are hereby given and granted to the said general court, from time to time, to make, ordain, and establish, all manner of wholesome, and reasonable orders, laws, statutes, and ordinances, directions and instructions, either with penalties or without; so as the same be not repugnant or contrary to this constitution, as they shall judge to be for the good and welfare of this commonwealth, and for the government and ordering thereof, and of the subjects of the same, and for the necessary support. and defence of the government thereof; and to name and settle annually, or provide by fixed laws for the naming and settling, all civil officers within the said commonwealth, the election and constitution of whom are not hereafter in this form of government otherwise provided for; and to set forth the several duties, powers, and limits, of the several civil and military officers of this commonwealth, and the forms of such oaths or affirmations as shall be respectively administered unto them for the execution of their several offices and places, so as the same be not repugnant or contrary to this constitution; and to impose and levy proportional and reasonable assessments, rates, and taxes, upon all the inhabitants of, and persons resident, and estates lying, within the said commonwealth; and also to impose and levy reasonable duties and excises upon any produce, goods, wares. merchandise, and commodities, whatsoever, brought into, produced, manufactured, or being within the same; to be issued and disposed of by warrant, under the hand of the governor of this commonwealth for the time being, with the advice and consent of the council, for the public service, in the necessary defence and support of the government of the said commonwealth, and the protection and preservation of the subjects thereof, according to such acts as are or shall be in force within the same. a For change of time, etc., see amendments, Art. X.
b See amendments, Art. 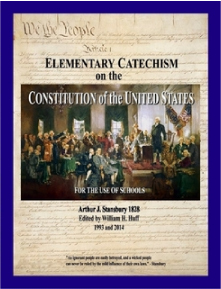 I.
c For the authority of the general court to charter cities, see amendments, Art. II.